A man spent three weeks in ICE detention without seeing a judge. A U.S. citizen who ICE detained for weeks is suing the agency, alleging it violated his Constitutional rights. The lawsuit holds that Rony Chavez Aguilar was held in ICE custody for nearly three weeks without being able to see a judge, and without knowing why he was being detained. Those officers initially arrested Aguilar on drug charges, according to Roth. He pleaded guilty, and spent about two weeks in county jail for the offense. After the two weeks were up, he would have been free to go. But ICE thought he was undocumented, and wanted to deport him. The officers kept him in the county jail so agents with ICE’s Chicago field office could take him into custody. 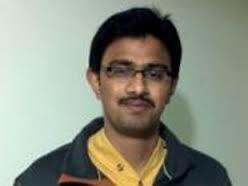 According to the complaint, they picked him up on or around March 7 and moved him to the Boone County Jail in Burlington, Kentucky, where they contract out space to detain people facing deportation. A 24-year-old undocumented immigrant protected under President Obama’s deportation relief program has been released, six weeks after U.S. Immigration and Customs Enforcement (ICE) agents detained him during an enforcement operation near Seattle, Washington. 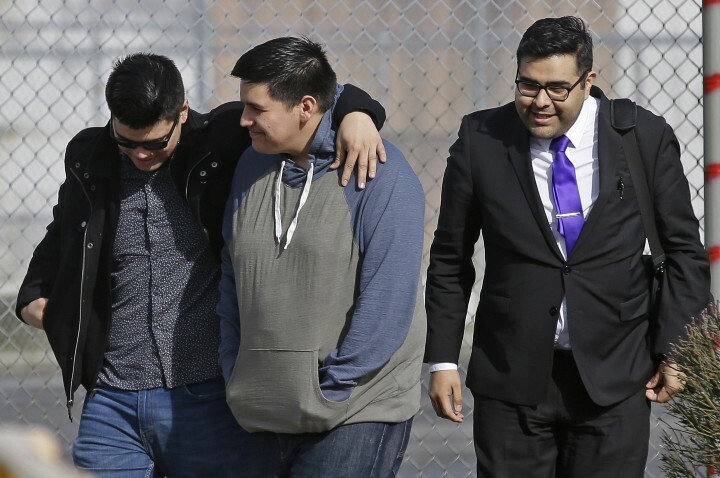 Daniel Ramirez, a Deferred Action for Childhood Arrivals (DACA) beneficiary, hugged his brother after his release on Wednesday outside the Northwest Detention Center in Tacoma. Ramirez said in a public statement that he was thrilled to go home and thanked his supporters. A Chicago shooting shows immigration agents and police officers are part of the same violent apparatus. On March 27, Immigration and Customs Enforcement agents unleashed terror on residents of a northwest Chicago home when an agent shot and seriously wounded a man in a house where eight family members were present, including a child as young as one. “They didn't say anything. They just came in and pointed pistols in our faces and dragged us out,” Carmen Torres, the daughter of the wounded man, Felix Torres, told local news outlet DNA Info. "We didn't even have time to dress or grab milk for the baby." Reports surfaced of a second raid in Chicago Monday. Wilmer Catalan Ramirez, who is partially paralyzed, was dragged from his home by ICE agents, according to a spokesman for Cook County Commissioner Jesus "Chuy" Garcia. CHICAGO — The son of a man shot by Immigration and Customs Enforcement Officers in Belmont Cragin Monday pleaded not guilty to gun charges filed previous to the ICE raid. There are several problems with Trump’s words, and Sessions’. To begin with, Trump misrepresents the rationale for sanctuary policies in many jurisdictions. U.S. Atty. Gen. Jeff Sessions sounded passionate, wrathful and confident when he appeared at the White House press room Monday to deliver a blistering attack on sanctuary jurisdictions across the nation. States and cities that thwart the federal government’s policies against illegal immigrants, Sessions said, would face severe consequences. He talked as though jurisdictions across the nation were actively violating federal immigration laws, pumping undocumented immigrants back onto the streets even after their convictions for serious crimes. Will Trump’s Wall Hit a Wall? The Trump administration’s proposed budget includes $999 million for 62 miles of the president’s promised border wall. But Republicans legislators, facing opposition from Democrats, may leave the wall request out of the budget Congress passes next month, creating another big loss for the real estate magnate right after his team’s failure to push Trumpcare through the House of Representatives. There’s another embarrassment for Trump’s promised wall: the 62 miles of fencing and wall in the budget request—48 miles of new construction and 14 miles of work on existing barriers—would come with a price tag of $16 million per mile. At that rate, a wall for the whole 2,000-mile border, including upgrades to the existing 651 miles of fencing and other barriers, would cost far more than the $12 billion Trump has claimed at various times, and more even than the $21 billion a government report projected earlier this year. And none of this counts the maintenance costs for the giant structure, which could pass $70 billion over the next quarter century. Washington (CNN)The Trump administration wants the first $1 billion of border wall funding to cover 62 miles -- including replacing some existing fencing along the southern border. On the same day that Department of Homeland Security justification documents were reported that indicate President Donald Trump wants nearly $1 billion to pay for his proposed border wall, the White House has sent a list of $18 billion worth of suggested spending cuts to Capitol Hill. Washington (CNN)—President Donald Trump last week floated the first kernels of his budget proposal for the coming year, and a new CNN/ORC poll finds the public sides with the President on tax cuts for the middle class and increased spending on infrastructure. They disapprove, however, of his plans to increase military spending and fund the construction of a border wall with Mexico. He worked at Latino Network, where he coordinated a food pantry for low-income families. 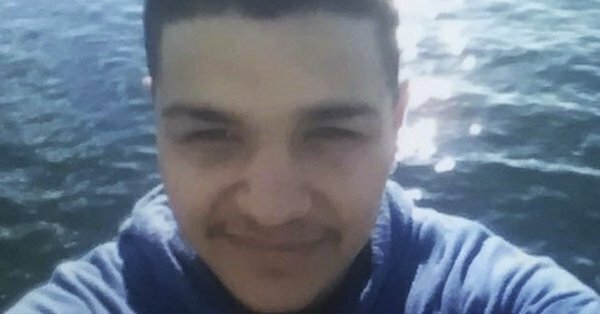 The organization on Sunday asked supporters to call immigration authorities and demand that Rodriguez Dominguez be released: "FAMILIA. One of our own needs your help - Call ICE to demand Francisco's release at (503) 326-3302." An undocumented Portland man granted a deportation reprieve in 2014 was arrested by federal immigration agents early Sunday, the American Civil Liberties Union of Oregon said. Francisco J. Rodriguez Dominguez was arrested by Immigrations and Custom Enforcement agents at his Southeast Portland home, the group said. For more than a month, I've been in an immigration detention center. 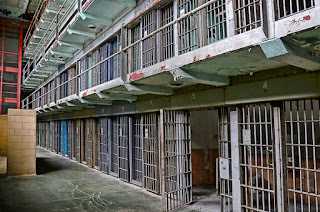 Last week, I spent my 24th birthday in detention. I’ve been in an immigrant detention center in Tacoma, Wash., for more than a month. That’s a month away from my family, a month further away from doing everything I can to support my 3-year-old son and a lifetime away from the future my parents wished for me when I was brought here from Mexico at age 7. I’ve spent nearly my whole life in the United States — as a child, a teenager and now an adult with a child of my own. This country is my home. ICE's haste to portray Acevedo as a "dangerous" drug trafficker skirts the issue of ICE's own culpability: Neither of the officers was disciplined, and both remain on the force today. In November of 2013, US Border patrol agents pulled aside 16-year-old Cruz Marcelino Velázquez Acevedo for questioning around a suspected illicit substance in his possession. He didn’t survive the exchange. While in federal custody, Acevedo stated that the substance in question was apple juice. The agents, unconvinced, coerced the teen into drinking the liquid. Acevedo succumbed to violent convulsions and died two hours later. A test kit, readily available on the premises, would have confirmed the contents as liquid meth within three minutes. Two teenage sisters fleeing violence in Guatemala were sexually assaulted by a US Customs and Border Protection officer in Texas after crossing the Mexican border, according to claims filed by the American Civil Liberties Union. The sisters, aged 17 and 19 at the time of the incident in July 2016, were in a field office in Presidio when an agent took them into a “closet-like room” one at a time, told them to remove their clothes and sexually assaulted them, the ACLU reported on Wednesday. ICE Arrests: Are Activists and Trump Opponents the Target? (CNN)Immigration and Customs Enforcement has been targeting so-called "sanctuary cities" with increased enforcement operations in an effort to pressure those jurisdictions to cooperate with federal immigration agents, a senior US immigration official with direct knowledge of ongoing ICE actions told CNN. A sanctuary city is a broad term applied to states, cities and/or counties that have policies in place designed to limit cooperation or involvement in the enforcement of federal immigration operations. More than 100 US jurisdictions -- among them New York, Los Angeles and Chicago -- identify as such. Recent Immigration and Customs Enforcement actions raise questions about the Trump Administration using deportation proceedings to punish political opponents -- both institutions and individuals. 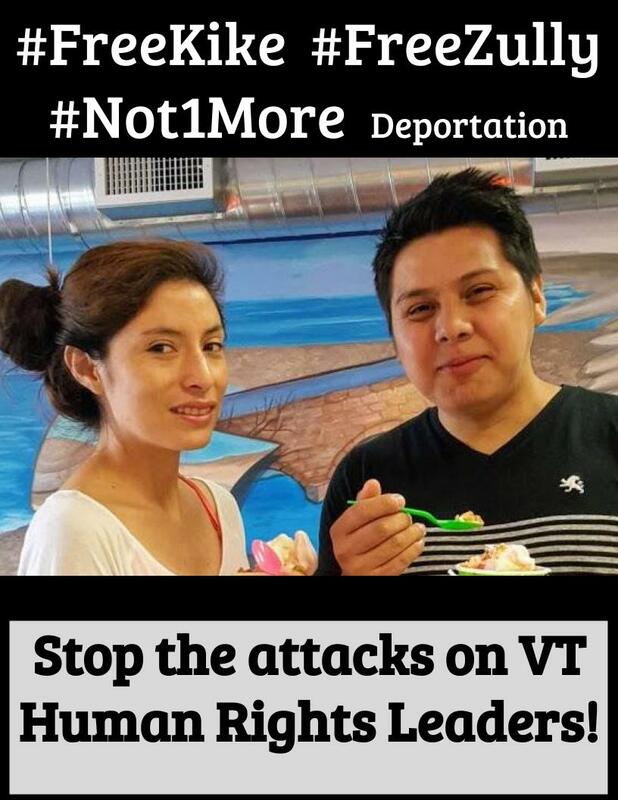 Three undocumented activists in Vermont were arrested over the past week by ICE agents -- two of them, while leaving the office of an organization that advocates for immigrants' rights. 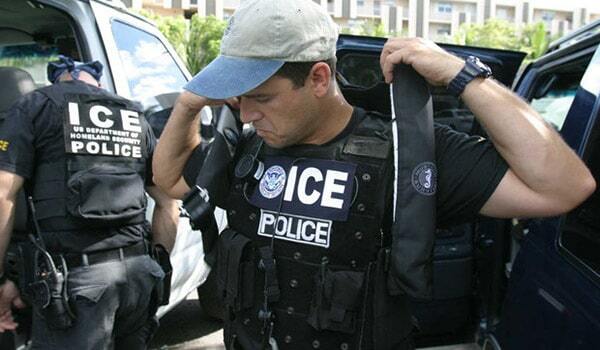 In Texas, meanwhile, a federal magistrate judge on Monday confirmed that immigration agents were conducting raids in response to policy changes carried out by the county seat of Austin. The Texas-based federal magistrate, Judge Andrew Austin, recalled how ICE officials had told him to "expect a big operation" and that it was "a result of the [Travis County] sheriff's new policy." This assertion was confirmed by the testimony of an ICE Agent named Laron Bryant. 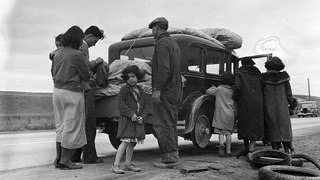 Fifty-one people were netted in the raids. Twenty-eight of them had no criminal record whatsoever. Federal agents privately alerted two magistrate judges in late January that they would be targeting the Austin area for a major operation and that the sting was retribution for a new policy by Travis County Sheriff Sally Hernandez that dramatically limited her cooperation with them, according to one of the judges. The revelation — made Monday in open court by U.S. Magistrate Judge Andrew Austin — conflicts with what Immigration and Customs Enforcement officials told local leaders after the sweep, when ICE characterized the operation as routine and said the Austin area was not being targeted. It also provides evidence after weeks of speculation that Hernandez’s policy triggered ICE’s ire. 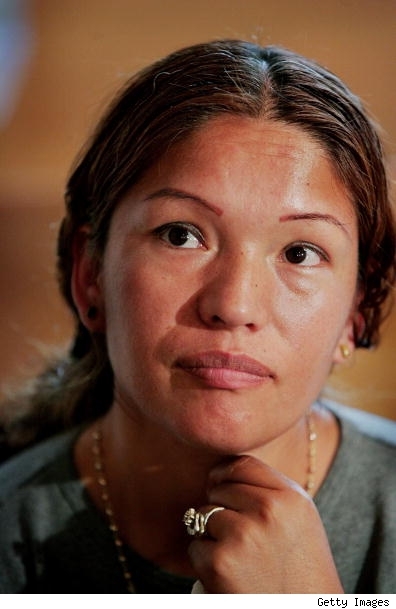 Demand the release of detained human rights leaders Enrique and Zully! 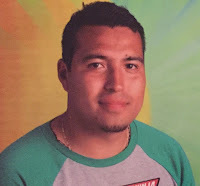 On Friday, March 17, Enrique and Zully were leaving the Migrant Justice office in Burlington, when Immigration and Customs Enforcement (ICE) agents targeted and arrested them. They are now in detention awaiting a court date. Neither has a criminal record. Their targeting appears to be political retaliation for their effective work in defending the human rights of workers and immigrants in this country. 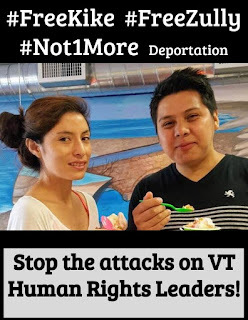 Please sign to send the following letter to ICE Boston Field Office Director Todd Thurlow demanding the immediate release of Enrique and Zully, and calling for their deportation proceedings to be terminated! 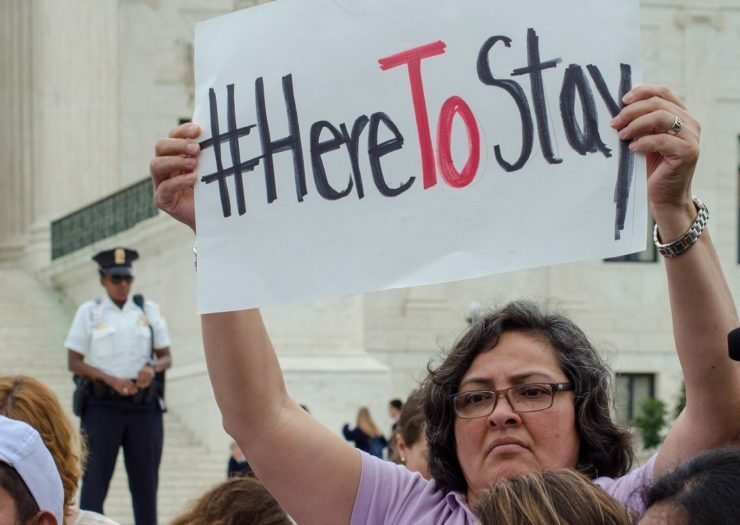 Washington (CNN)Americans disagree with President Donald Trump's immigration priorities, according to a new CNN/ORC poll, with nearly two-thirds of Americans saying they'd like to see a path to legal status for undocumented immigrants rather than deportations. 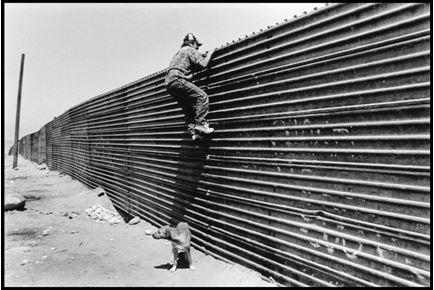 Trump has made tough border security and strict enforcement of US immigration laws a focal point of his campaign and presidency -- using some of his first executive orders to pave the way for far more deportations and detentions as well as ordering the construction of a Southern border wall. ¿Ha llegado el momento para la desobediencia civil?/Time for Civil Disobedience? ¿Ha llegado el momento para la desobediencia civil? Muchas de las tácticas de desobediencia civil que se empleaban en el contexto del movimiento pro derechos civiles y en el movimiento para acabar con el “apartheid” en Sudáfrica no se han empleado mucho en la lucha para los derechos de los indocumentados. El motivo es que, por supuesto, los indocumentados no han querido exponerse a las acciones represivas de los que los pretenden deportar. El “santuario” debe considerarse como una excepción, y no se olviden que las acciones de santuario se tomaron conjuntamente entre personas sin y con papeles. 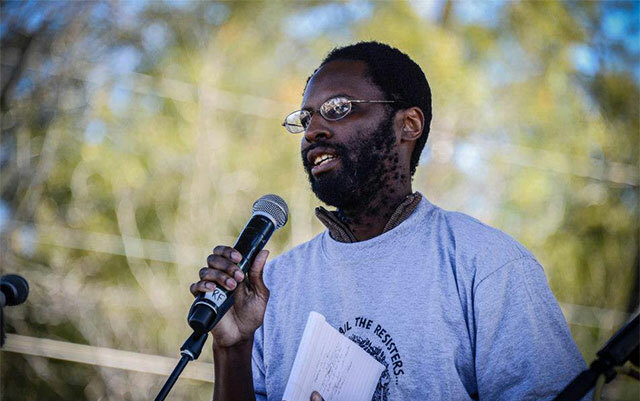 Many of the tactics of civil disobedience which were used in the civil rights movements and in the movement to end apartheid in South Africa have not been used in the struggle of the undocumented. The reason is that the undocumented have not wanted to put themselves in the hands of those who would deport them. Sanctuary was an exception – and sanctuary was an action taken jointly by those with and those without papers. “They were scared to arrest us because they know our cause is just. We ended our sit in but we will #resist,” Rep. Gutierrez tweeted. 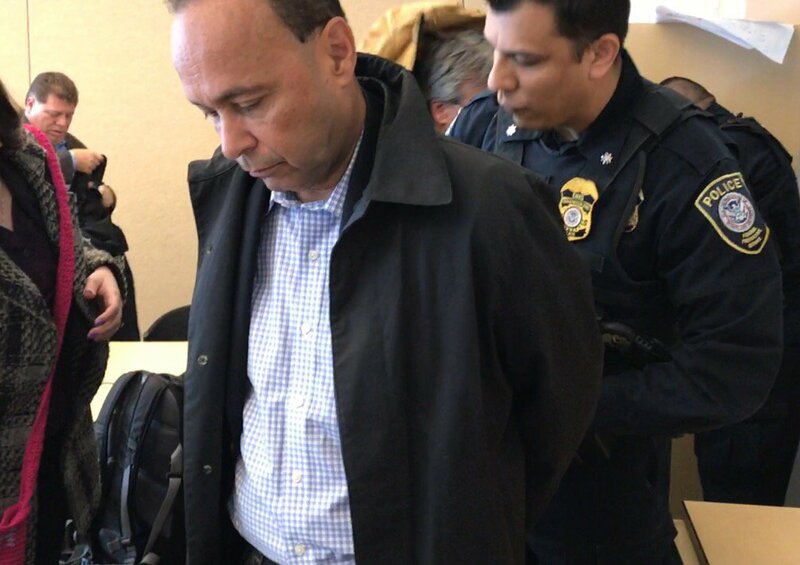 CHICAGO (AP) — U.S. Rep. Luis Gutierrez has ended a sit-in at a federal immigration office in Chicago where about a dozen activists demanded no future raids and reconsideration on a deportation case. The campaign of civil disobedience begins today. Rev Emma Lozano, Co-chair of Familia Latina Unida and pastor of the first sanctuary church in the nations today joins with Congressman Luis Gutierrez and a group of committed religious leaders, elected officials and community leaders to begin a new phase in the struggle against mass deportations and separation of families. We cannot simply sit by, march and hold press conferences while this administration tears apart our families and our communities. As in the days of the civil rights movement we find ourselves up against a white nationalist power structure which seeks to drive Latinos from the country or into submission. This is an administration which has no moral compass to guide them. The fate of families, of U.S. citizen children deprived of a mother or father, is not regretted, it is celebrated by this administration. Years of negotiation with the Republican Congress have brought us often to the brink of a solution – but each time they pulled back. 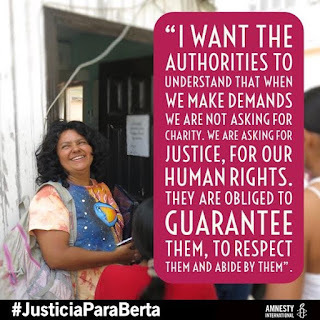 This is not a matter of law it is a matter of humanity – and the lack of it. We believe that we speak for the majority of people in this country who oppose these deportations and separation of families. Only the peculiar states rights structure of elections has put us in the hands of those without compassion or a sense of justice. When the actions of government no longer reflect the will of the people then people of conscience must act. We have no alternative now but to begin mass campaigns of civil disobedience across this country. 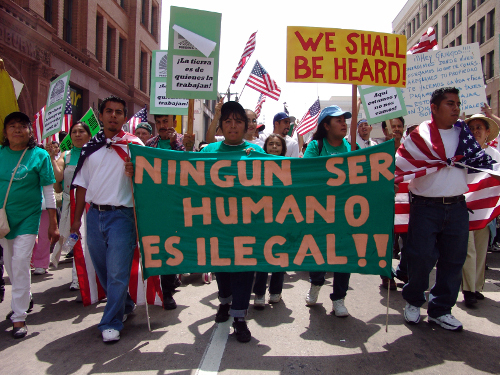 Those of good conscience will join the U.S. citizen family members and neighbors of the undocumented. We will explore a full range of tactics to bring the deportations to a halt. We are not criminals. We are not terrorists. We are workers and we are mothers and fathers, sons and daughters. If we have to fill up the jails of this country to remind this nation of its basic humanity – then that is what we will do. Illinois Rep. Luis Gutierrez was briefly handcuffed after refusing to leave a meeting with U.S. Immigration and Customs Enforcement officials in Chicago, saying he planned to risk arrest by staying at the agency’s office in The Loop until demands are met. U.S. Rep. Luis Gutierrez and a delegation of activists and lawyers have staged a sit-in at the regional offices of Immigration and Customs Enforcement after their demands were not met during an hourlong meeting Monday with agency officials. Organized resistance to President Donald Trump’s immigration crackdown is coming to San Diego, as advocacy groups are beginning to organize a rapid response network that could include hotlines, “solidarity teams" and even safe houses. 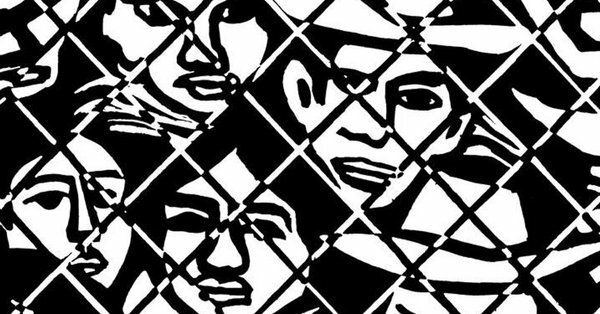 Meant to protect unauthorized immigrants, the network would be similar to what activists in other cities, including Los Angeles, San Francisco and New York, are working to implement. NEW YORK - In historically conservative Staten Island, where President Donald Trump won 57 percent of the vote, residents are readying their homes to keep immigrants protected from being deported. People like Ruth, a local educator who didn't want her full name used so Immigration and Customs Enforcement could not identify her, are becoming part of a network to offer refuge to families at risk of deportation and do so in areas where Trump enjoyed strong political support. San Francisco restaurants are joining a national movement to establish sanctuary workplaces for undocumented employees and ensuring business owners know their rights if federal immigration officials raid their establishments. Last week, the story of Daniela Vargas – a 22-year-old woman possibly facing deportation without a trial – rallied the activist community. Today, immigration advocates are celebrating her release from Immigration and Customs Enforcement (ICE) custody. Vargas, who arrived in the United States at age 7, saw her dad and brother arrested by ICE officials a few weeks ago. She hid in her closet, but ICE broke into her house and handcuffed her. They eventually let her go. But because she was awaiting the renewal of her Deferred Action for Childhood Arrivals (DACA) status – which grants immigrants brought to the United States at a young age the right to work and attend school – Vargas felt shaken. ¿Qué pasó al final? ¿Qué se ganó? De hecho, las protestas de ese entonces lograron frenar una propuesta nefasta del Congreso, muy parecida a los castigos anti migrantes que emanan hoy de Washington. Hace 11 años presenciamos un fenómeno sin precedente en la historia de Estados Unidos (EU): un movimiento de millones de personas —en su mayoría mexicanos, pero también, asiáticos, árabes, afroamericanos, anglosajones, centroamericanos, colombianos, ecuatorianos, dominicanos, haitianos y de muchas nacionalidades más— que surgió del rechazo a una propuesta de ley anti migrante (del congresista republicano por Wisconsin Jim Sensenbrenner), que pronto adquirió el objetivo de defender la dignidad de los migrantes como trabajadores, estudiantes, consumidores y, sobre todo, como seres humanos que forman parte inseparable de este país. U.S. immigration authorities maintained a stay of removal for New Sanctuary Coalition organizer Ravi Ragbir today as local politicians and hundreds of supporters gathered outside the Federal Building in New York City. But the activist needs to check in again next month in order to get travel papers. New York City pols rallied outside Immigration and Customs Enforcement’s New York City office ahead of a prominent Trinidadian-born immigrant activist’s annual check-in—a meeting in which he feared, but ultimately escaped, getting deported to his native land. One of New York’s best-known immigrant rights advocates joins us on what might be his last day as a free man in the United States. Ravi Ragbir is executive director of the New Sanctuary Coalition of New York City. This morning, right after our broadcast, Ravi heads for a check-in with Immigration and Customs Enforcement. He plans to go to the meeting, even though he may not be released. PLEASE SIGN UP FOR THE TEXT ALERT SYSTEM IF YOU HAVE NOT ALREADY. New York City families deserve dignity and respect. The President’s recent actions on immigration are tearing our communities apart. Each day, dozens of New Yorkers facing deportation must check-in with ICE Officers at 26 Federal Plaza. When they enter the building, they don’t know if they will be able to see their families again. Now more than ever it is important to show solidarity in the face of policies that threaten our communities. #1 Meet at Foley Square at 9 AM on Thursday (unless you are a volunteer, in which case we ask that you please arrive at 8am). #2. The press conference will begin at 9 AM sharp so please be on time if you can. #3. The press conference will lead directly into the Jericho Walk - an interfaith act of silent solidarity. People of all faiths/no faith are welcome, but we ask that you all respect the tradition of the Jericho Walk, which involves silence and other instructions we will share with you on the day of. #4 Feel free to make and bring signs but we ask that your signs do not mention any specific individuals who may be facing detention/deportation. Keep signs general. This goes for social media as well—please keep hashtags, tweets, Facebook posts, etc. general. Do not name specific people. #5. Do not bash ICE, and please keep the references to Sanctuary to a minimum. This event is designed in solidarity with those most vulnerable, and we do not want to invite backlash against them. The following three reports make it hard to believe the Trump administration is sincerely interested in protecting U.S. citizens. Trump claims ICE will just be deporting “the bad ones,” on the questionable assumption that deporting felons actually makes us safer. In reality, ICE agents are now free to meet their quotas by detaining just about any undocumented immigrant they run into, without having to spend time looking for actual felons. Homeland Security head Kelly is considering plans to split up Central American families crossing the border. He claims—without evidence—that this would deter asylum seekers who are fleeing their countries to save their children’s lives. The administration claims that the deportations, the Muslim ban and the useless border wall will guarantee our security. But Trump expects to pay for this costly expansion by cutting funds for the Coast Guard, the TSA, and FEMA—agencies that with all their faults actually do at least something to protect us. ICE isn’t just detaining “bad hombres.” They’re scooping up anyone in their path. Immigrants are being uprooted from communities every day. Here are their stories. President Donald Trump has promised the only immigrants being deported now that he’s in office are “bad hombres”: convicted criminals, threats to American safety and the national interest. 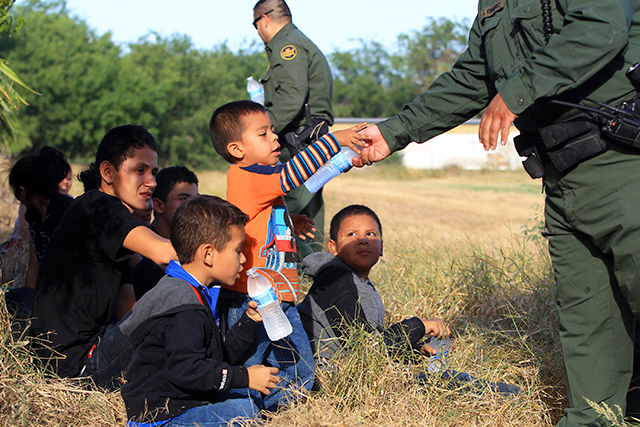 Department of Homeland Security Secretary John Kelly confirmed Monday that the Trump administration is considering separating migrant parents from their children who cross the U.S.-Mexico border together illegally. The proposed budget cuts for the Coast Guard, TSA and FEMA would be 'devastating' and undermine the fight against terrorism, smuggling and illegal immigration, critics say. The Trump administration wants to gut the Coast Guard and make deep cuts in airport and rail security to help pay for its crackdown on illegal immigration, according to internal budget documents reviewed by POLITICO — a move that lawmakers and security experts say defies logic if the White House is serious about defending against terrorism and keeping out undocumented foreigners. The Office of Management and Budget is seeking a 14 percent cut to the Coast Guard's $9.1 billion budget, the draft documents show, even as it proposes major increases to other Department of Homeland Security agencies to hire more border agents and immigration officers and construct a physical barrier along the U.S.-Mexico border. What Does an ICE Arrest Look Like? This is why I think, in many ways, the immigration conversation is a racial justice conversation.… I think that it would be a lie to have an analysis of the immigration system that doesn't speak very directly about the influence of race in this country. Today we bring you a conversation with Aly Wane, an undocumented organizer based in Syracuse, New York. Originally born in Senegal, Wane works with a range of groups, including the Syracuse Peace Council, Black Alliance for Just Immigration, the Undocumented and Black Network and Black Lives Matter Syracuse. 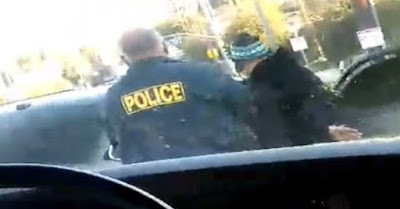 Sarah Jaffe: Everybody is posting this story on Facebook of Immigration and Customs Enforcement (ICE) taking an immigrant with a brain tumor out of the hospital, and most people are posting this with "That is not normal," "I can't believe this is our new normal." Your response was, "I see ICE is getting back to its old tactics." Can you talk a little bit about what "normal" has been for immigrants? What Do ICE Raids Mean for the Rest of Us? The national sweeps by Immigration and Customs Enforcement (ICE) agents in the second week of February drew a great deal of media attention. Some of the coverage was devoted to analyzing whether the arrests of about 680 immigrants marked the start of a massive deportation campaign by the Trump administration. Some focused on the impact the raids had on the immigrants themselves and on their families, which often include U.S. citizens and green card holders. But there wasn’t much discussion about the impact of the raids on other working people—on citizens without immigrant friends or relatives. LA ESPERANZA, Honduras — Precisely a year ago, I awoke to a garbled text message from my mother. She was too distraught to write clearly, but I understood her immediately, and my heart dropped. Murderers had finally gotten to my aunt Berta Cáceres, who, as a child, had been young enough to be my playmate Bertita, and later, as a woman, was courageous enough to stand up to evil in Honduras. “I feel like I am an American,” Daniela Vargas said. Mississippi, on Wednesday shortly after she spoke to the media about the detention of her family. 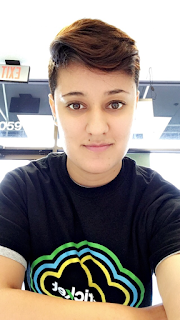 Law enforcement had initially declined to arrest Daniela Vargas, who was previously granted deportation reprieve under the Obama administration’s deferred action program. On Feb. 15, Vargas was half-asleep at home when Immigration and Custom Enforcement agents came for her family. Her father, a house painter, kissed her goodbye on his way to work and was apprehended in the driveway, Vargas told The Huffington Post last week. She says she never saw her brother, a construction worker who was also detained. 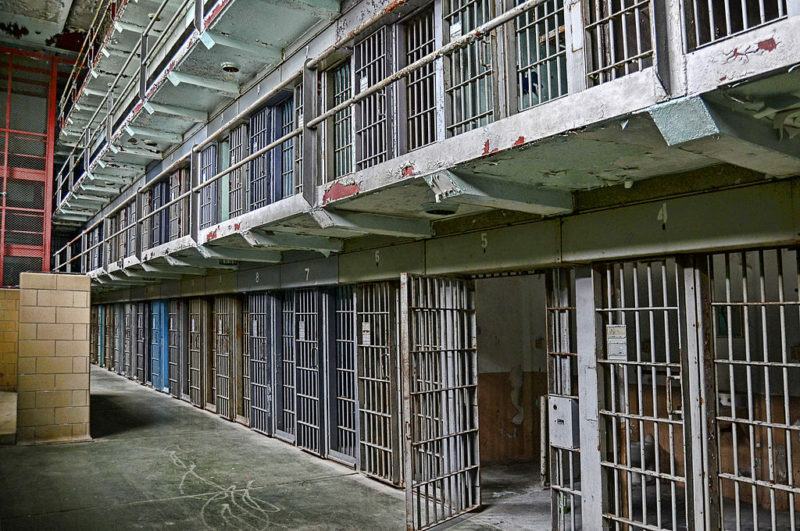 Up to 60,000 people could join a class-action against prison companies they say paid them little or nothing for their work, and threatened solitary confinement if they objected. In an unprecedented case, a federal judge ruled Monday that a private prison company can be sued under federal laws prohibiting what amounts to slave labor. The ruling allows current and former detainees at a privately-run immigrant detention center to join a class-action suit alleging that the contractor running the prison forced detainees to work for low or no wages, threatening solitary confinement for those who refused.